"Scientists-archaeologists and architectural historians, restorers focused on the disclosure of the unexplored mysteries of Paryzdepe, the study of its cultural layers, search and arrangement of artifacts. 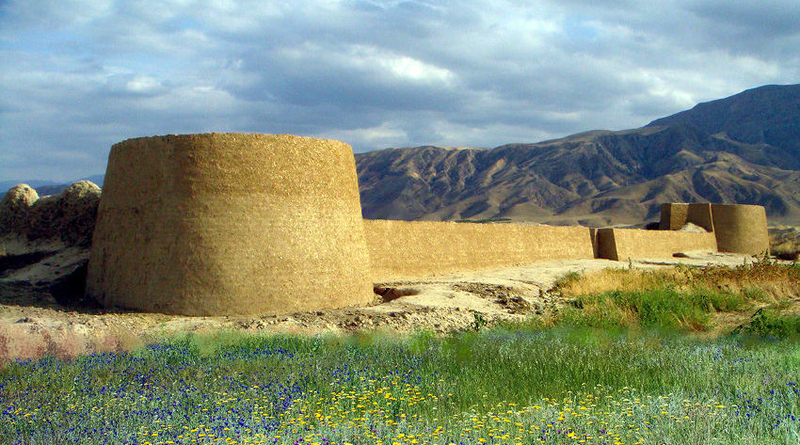 The settlement consists of Shahristan (the city proper), the citadel (inner fortress) and rebate (suburbs). This is classic organizational structure, peculiar to historic cities of the East. The layout and fortification of the ancient cities of Turkmenistan, served as samples of the Central Asian construction culture development," the Turkmenistan Today state news agency reported. The traditional art of fortification is reflected as in the architecture of fortresses, so the detached facilities. Clay stately homes are put emphasis among them. The ruins of such three constructions are located at the walls of Paryzdepe. There is enough preserved material in broad outline to reconstruct their original form by a comparative analysis with similar structures in neighboring villages. This work was performed by the specialists of the National Department for protection, study and restoration of monuments of history and culture, that was reflected in the colorful popular science booklet, published in three languages on the eve of the 5th Asian Indoor and Martial Arts Games, intended for tourists and guests of the capital. The tradition of construction of country estates on the territory of Turkmenistan has deep roots. Researchers have previously noted the presence of large number of castles and estates of the antiquity and medieval period in the piedmont step of the Kopet Dagh, which were built by substantial citizens within the rebates. Such buildings were around Merv, Serakhs, Nisa, Dehistan, Durun and other major burgs. Despite the fact that almost all of them were built of mudbrick and pakhsa, and their exterior, as a rule, bore the marks of the citadels, they had unique architectural charm, and such detached structures are masterpieces of the building art. Among them is, for example, the world-famous monument Great Gyzkala in Merv. According to researchers, the layout of the fortresses in the form of a square space, the corners of which are decorated by round towers was emerged in high antiquity in monumental buildings of the Bronze Age of Bactria and Margiana. In the middle ages, this architectural form was widely used in the construction of caravanserais, mosques, madrasahs and other public facilities. It remained in the Turkmen dwelling architecture until the late nineteenth century. In the course of archaeological clearance of the most well-preserved estate on Paryzdepe, outside not far from the gates, there were revealed traces of tamdyr for bread making and places of hearths for cooking. All this accepts the opinion on a long peaceful life in this area where, apparently, fortress gates were seldom or never locked. Architectural analysis has allowed to determine the overall height of the farmstead fence, which exceeded 4 meters. The upper part of the walls and towers was usually crowned by a parapet with a rectangular or oval castellation – they are preserved on the wall remains of Japbak-kala in Suncha village. Archaeological excavations within the manor house on Paryzdepe along with fireplaces and round unknown-purpose constructions, there were also identified in the South-West part of the yard the wall remains of facility adjacent to the outwall, which foundations were made of natural stone. As architectural historians suggested, the “square with round towers at the corners” scheme, underlying the planning of Paryzdepe estate and other similar structures, gives evidence of millennial architectural traditions and construction skills of the Turkmen people, developed in ancient times and passed on by masters from generation to generation. A virtual reconstruction of the Turkmen architecture monument has been performed on the basis of investigations, as well as restoration activities on the reconstruction of the fortress’s walls and towers are under way.